Italy's current President Napolitano has been re-elected for a second term. It comes as Pier Luigi Bersani, leader of the Democratic Party (PD) has quit after both candidates he backed for presidency failed to get enough votes in secret ballots. Center left leader Bersani announced his imminent resignation Saturday, after both candidates he had backed for president were seen off by a rebellion, which exposed deep divides in his PD party and increases the possibility of snap elections as Italy flounders in a leadership vacuum. 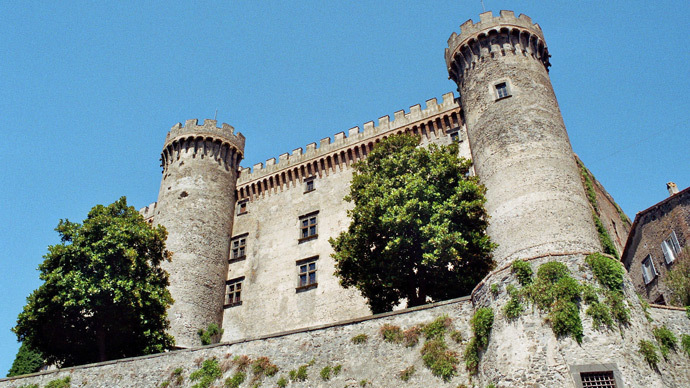 PD had backed ex union leader Franco Marini and former Prime Minister Romano Prodi. Prodi’s candidacy had been backed with enthusiasm by many on the center left, but he only managed 395 votes, well below the 504 needed. Bersani told MP’s he would stand down as soon as parliament elects a new head of state, something which is seen as crucial if Italy is to extract itself from the political gridlock that has gripped the country since inconclusive elections in February. PD’s president, Rosy Bindi, also resigned. “Among [our MPs], one in four betrayed us,” said Bersani. He went on to denounce “forces trying to destroy the PD,” according to the Ansa news agency. 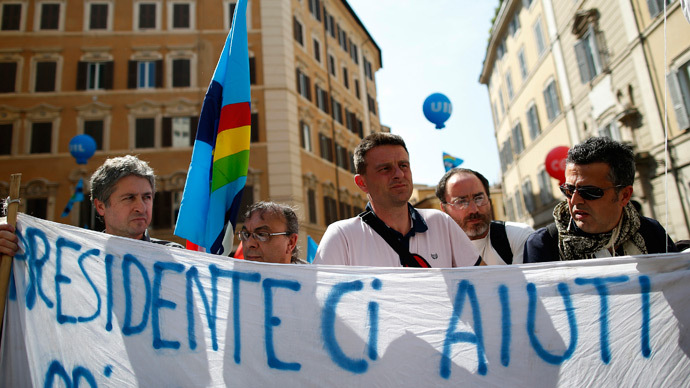 In an apparent rebellion to Bersani’s wishes, the center-left’s junior coalition partner, the Left Ecology Freedom (SEL) party said they would back left-wing academic Stefano Rodota, a candidate also backed by the anti-establishment 5-star Movement who won 213 votes in the fourth round. Caretaker Prime Minister Mario Monti, leader of the centrist Civic Choice party, which commands 70 votes, said they would back Interior Minister Anna Maria Cancellieri. 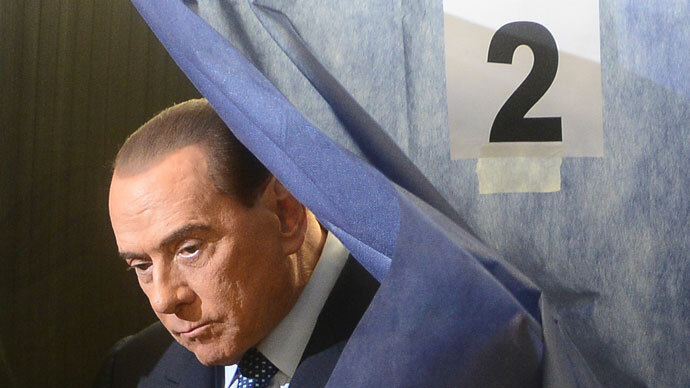 Silvio Berlusconi’s Center Right Alliance said that they would not use their 270 votes. Abstentions do not reduce the required majority. 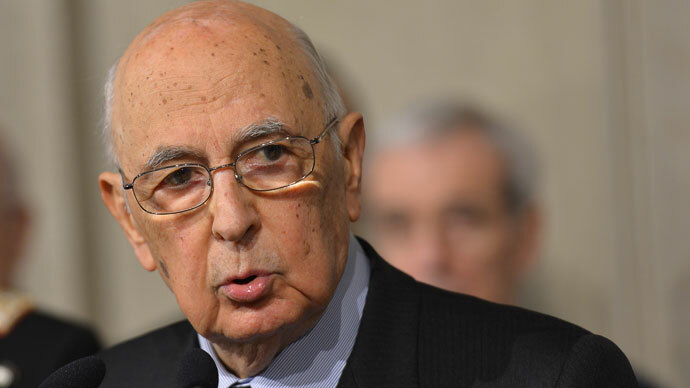 A new president was needed to replace 87-year-old Giorgio Napolitano, whose term was due to end on the May 15, although he announced Saturday that he will remain in office for a second term so the political crisis gripping the country can be sorted out. "I feel obliged to offer my availability as requested," Napolitano said in a statement. "I cannot shun my responsibility towards the nation." Napolitano easily won 50% of the vote with support from all major parties except the 5-Star Movement. Both Bersani and Berlusconi went to see Napolitano at the president’s palace on Saturday, which immediately led to speculations in the Italian media that they were asking him to serve a second term, even though he has insisted on several occasions previously that he would not do so. Bersani’s departure will spark a leadership battle in the PD, which was founded in 2007 to unite a number of smaller, leftist and centrist parties. His resignation could pave the way for his-arch rival, Matteo Renzi, the 38-year-old mayor of Florence, according to Reuters. He commands wide public support, but is viewed with suspicion by the old PD hierarchy. The PD party won an outright majority in the lower house of parliament in February’s inconclusive election, but not in the upper house or senate. The future of the PD is now unclear. “The leadership of the Democratic Party is tumbling down. 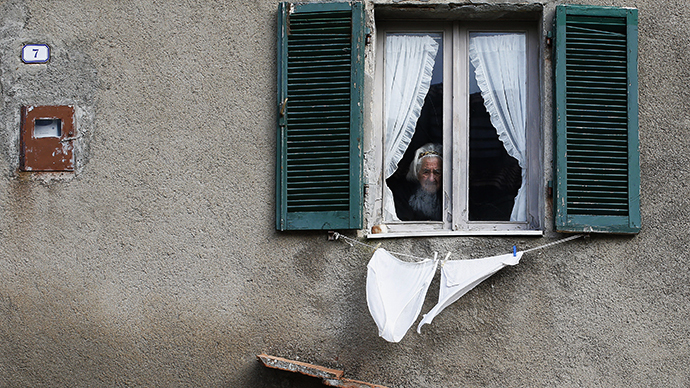 This is the end of an era,” wrote Massimo Franco, apolitical commentator, in the Italian daily Corriere della Sera. Three months ago Bersani seemed the most likely next prime minister of Italy, but the deep divisions in the political class of the country raises questions whether much needed reforms can be implemented to tackle an economy which has been stagnating for the past 20 years. 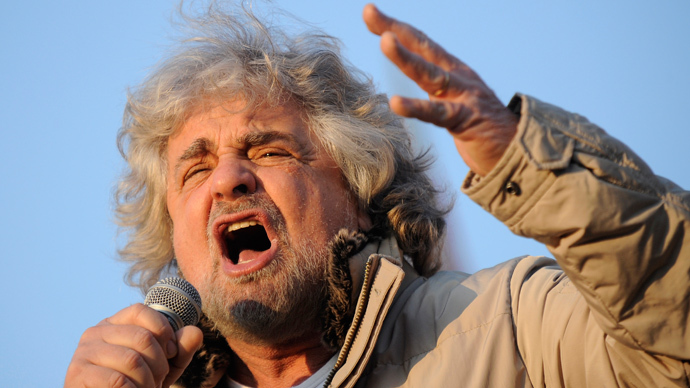 One of the winners in February’s election was the 5-Star Movement, led by former comedian Beppe Grillo, which managed a quarter of all votes in its first national election, fighting an anti-corruption and anti-establishment agenda. While the party’s good showing reflects anger among Italians at economic hardship and political corruption, it remains unclear whether the 5-star Movement could effectively govern the country. Meanwhile the caretaker government of Mario Monti, brought in after Berlusconi’s resignation in late 2011, is continuing to govern Italy’s day-to-day concerns.